Summary: If you want something more similiar to how your regular phone works, then Vonage is the answer. 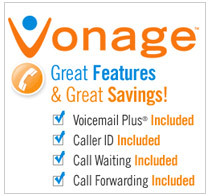 If you want something more similiar to how your regular phone works, then Vonage is the answer. It doesn’t require a computer to be and has all the paid features you get on a regular phone bill for free.